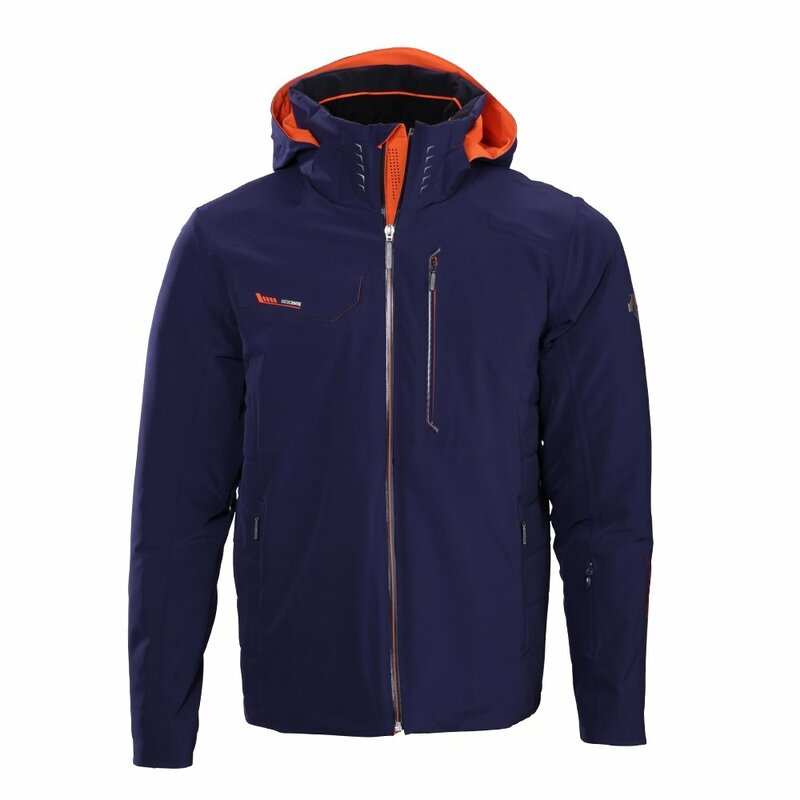 Descente ski jackets combine high performance and intense weather protection with a precise, ergonomic design. Built to enhance your mountain experience, the Descente Men's Reign Jacket makes even the worst weather feel like a bluebird day. When it's cold, 100g Thinsulate® insulation packs in the warmth. On top of that, Heat Navi tech converts solar energy into extra warmth. The four-way-stretch fabric has Motion 3D Fit™ technology, designed to mirror your natural movements and turn, tuck and angle with you. The Reign ski jacket is loaded with features including powder skirt, underarm vents, removable/adjustable hood and a stretch liner. 20K/20K waterproofing keeps moisture out so you stay dry and comfortable. 4-way stretch fabric with Motion 3D Fit™ technology lets jacket move naturally with your body. Heat Navi insulation converts infrared rays into stored heat, keeping you extra warm. "The men's Descente "Reign" jacket is nice and thin ( w/ Thinsulate) but is it warm enough for those chairlift rides when you're not actively producing heat?" "The Descente Reign Ski Jacket has a 100 grams of Thinsulate. The jacket also has technology that converts solar energy into extra warmth. Hope this information helps!" "what is the trim color on the white jacket? I cannot tell if it is blue or black. Thanks. " "The accent color on the white jacket is called Dark Night. It is a very dark/deep blue. Hope this information helps. " Skeptical about XL Slim fit versus L Regular fit I usually buy, but the fit was great and the jacket features better than other jackets I tried on. The fit was great. The warmth factor great and the style was great!